aka: Battery Assist Device. The B.A.D. Lever is a very intuitive add-on that allows a right-handed shooter the ability to lock/release the bolt with their trigger finger. 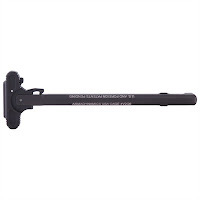 The lever was designed to make clearing malfunctions a quicker affair. Magpul's B.A.D. is the original, but other versions do exist. 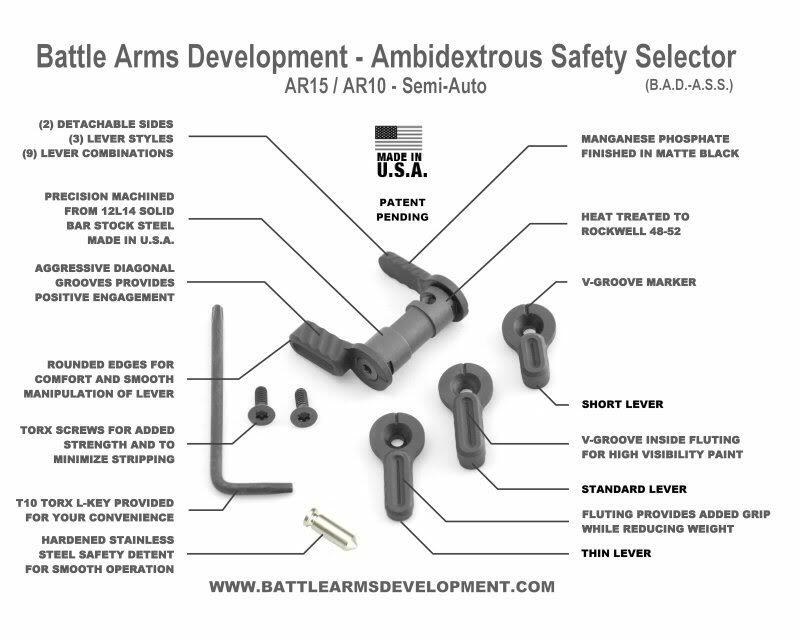 aka: Battle Arms Development Ambidextrous Safety Selector. 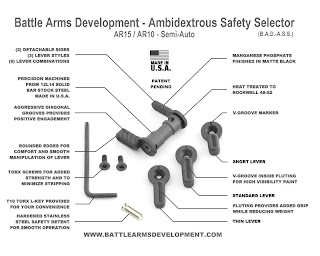 This is the most user friendly ambi-safety out there. 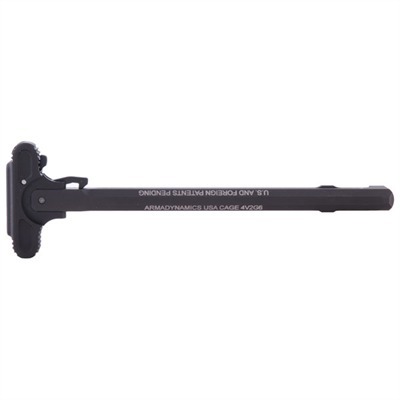 It gives you the option to place one of five different levers on either side of the lower receiver. 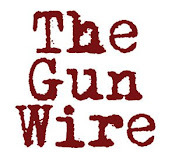 Being able to operate the safety of a weapon in any situation is paramount. For a more in depth review check out Jerking the Trigger. 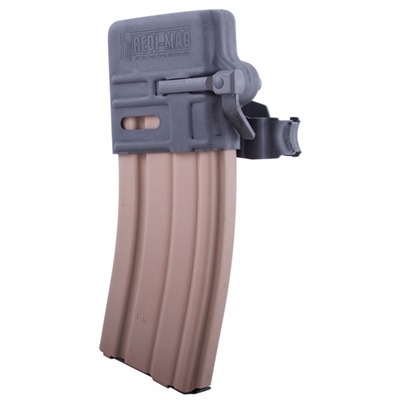 The Redi-Mag allows an extra mag to always be ready; right on the side of your weapon. This gives you the capability for very quick reloads. 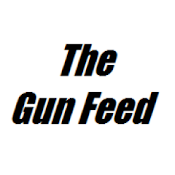 I have never put one on my carbine because I'm not a fan of the extra weight that the Redi-Mag plus another loaded magazine adds. There are many officers that like to have an extra magazine on board their patrol carbine when they grab it; whereas if you have to carry the rifle all day you have to do the math: ounces = pounds and pounds = pain. The Mission Adaptable grip from Magpul offers three different back plates and two different front straps to customize the fit and finish of the grip for the end user. The MIAD also offers four different grip cores allowing for the storage of ammunition, AA/AAA or CR123 batteries, and a bolt and firing pin. 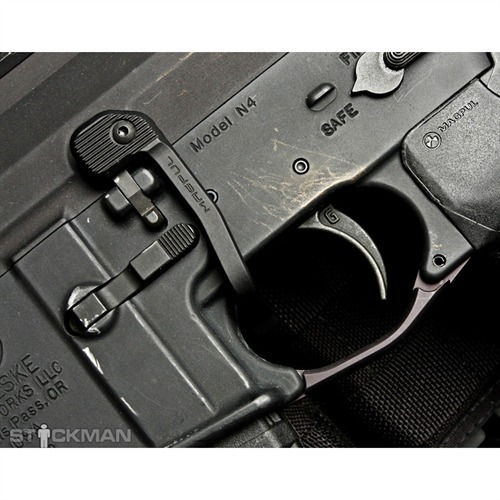 If you install the MIAD on your lower receiver I would highly recommend installing Magpul's MOE Trigger Guard which gives your finger more room within the trigger area for easier operation with gloved hands. Are there any accessories you think should have been included? Tell us what you think! Post your list below or on RTB.net's Facebook page. Is cleaning your AR a waste of time? I was looking for the 308 ar manufacturers. Actually I need its lower components manufacturers. Thanks for providing me useful information.